Engineers on their way to fix a faulty Cal Mac ship have been hampered by ferries cancelling services due to stormy weather. 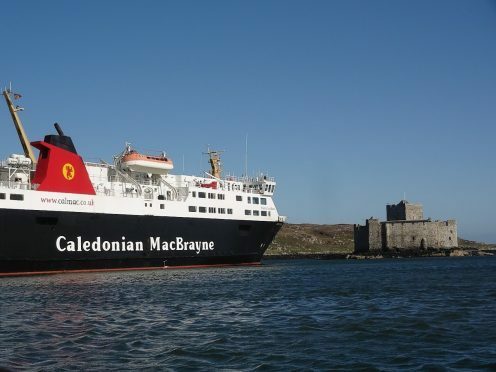 Passengers are caught in a Catch-22 situation, with the MV Isle of Lewis stuck at the pier in Castlebay harbour on Barra, blocking any other ship from docking. Heavy seas and wild winds today are likely to result in further ferry cancellations in the Western Isles and on the west coast, preventing specialists from reaching the island. Poor weather yesterday cancelled an inter-island connecting ferry. In addition, relief ferries the MV Lord of the Isles and MV Clansman, which could have detoured to pick up disrupted passengers, will not be operating today because of the forecast. Cal Mac said it will not be able to offer a relief mainland connection today. A spokesman explained the service was cancelled yesterday due to specialist engineers not being able to get to Barra. Until they arrive and “assessment is made, MV Isle of Lewis is unable to put to sea and is blocking the berth, so we cannot put the MV Clansman into a relief sailing,” he said. Cal Mac said the “greatest problem we face now” is the wild weather which looks likely to disrupt the sea crossing between Uist and Barra. However, a possible option for passengers to travel lengthy island hopping diversion in the opposition northerly direction via Eriskay, Uist and Skye is unlikely to be successful due to weather.